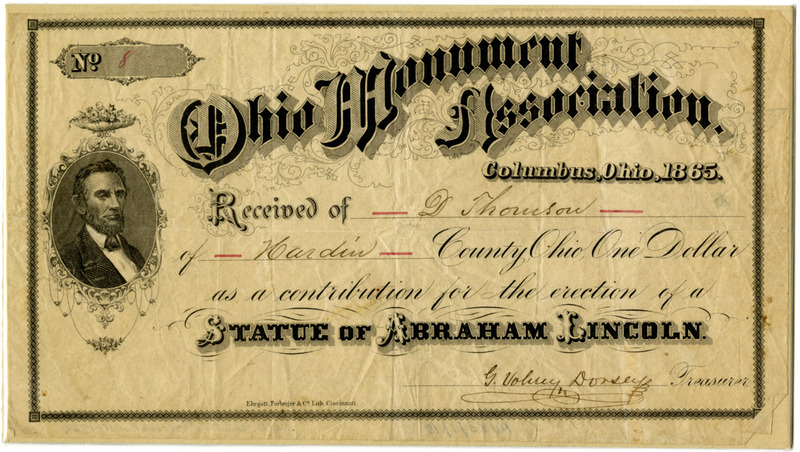 This image is a receipt from the Ohio Monument Association signed by the Ohio State Treasurer, G. Volney Dorsey. The receipt is numbered number 8. Ohio Monument Association, Columbus, Ohio, 1865. Received of D. Thomson of Hardin County, Ohio one dollar as a contribution for the erection of a statue of Abraham Lincoln.